Rachael Varney is a Bat Helpline Out of Hours (OOH) volunteer, a service where volunteers answer emergency calls from the public who have found a bat in need of help. The OOH Bat Helpline is active in the evenings (5:30PM - 10:30PM) and on weekends and bank holidays (9AM - 10:30PM). What inspired you to volunteer on the national bat helpline out of hours service (OOH)? I used to work as a veterinary receptionist and when injured or grounded bats were brought in to the surgery I would always have a quick peek at them in the box! Nobody seemed to know much about how to care for them, but luckily, we had a very knowledgeable bat carer who we would call upon to take them off our hands. When I saw the volunteer opportunity for OOH, I thought it would be great to learn more about bats, and hopefully do a little to help them too. There are lots of wildlife you could have given your time to, why bats? I think bats are misunderstood and somewhat shrouded in mystery, and many people dislike or even fear them. 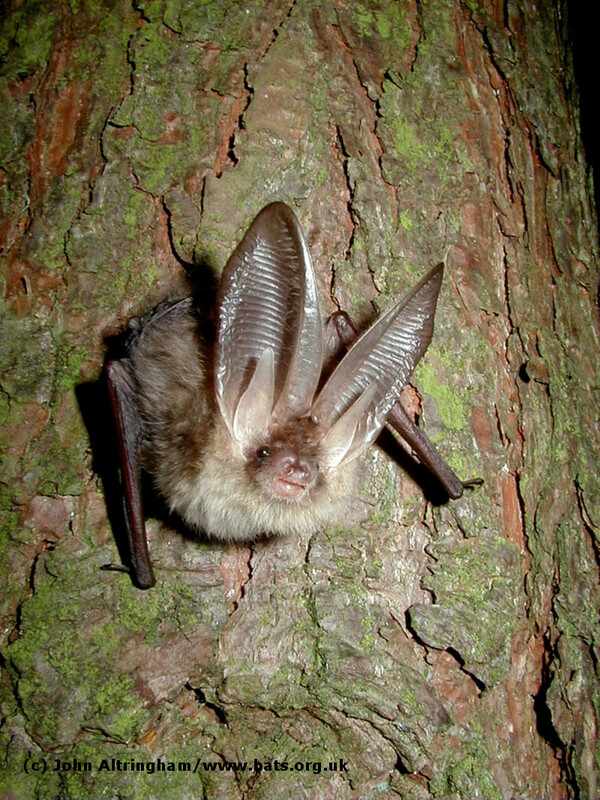 As well as wanting to learn more about bats myself, I hope I can educate people whilst doing the OOH call taking to realise what interesting creatures they really are. What do you enjoy about volunteering on OOH? I enjoy talking to different people from all over the UK – you never know who will be on the other end of the phone, or what situation the bat is in. Most people who have taken the time to call OOH, have a genuine desire to help the bat, even if they have a fear or are unsure of what to do. It’s great to be able to give people advice and the confidence to be able to help the bat – there’s a real feel-good factor involved. I enjoy learning about ways we can lessen our impact on the natural world and regularly get involved with online petitions on social media, but I sometimes feel overwhelmed by all the negativity. OOH has shown me that there are some really kind people who are willing to go out of their way to help, and that’s quite uplifting. What’s your at-home set up like for OOH? I make sure I have everything to hand - some snacks, a couple of cold drinks, a notepad and pen, and my OOH folder given to me during training. 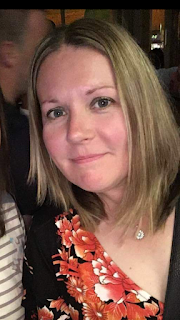 I’m quite lucky to have a spare bedroom that acts as a little office, so I can concentrate on OOH without too many distractions, although I do sometimes end up with the cat sat on my knee! Do you have a favourite or most satisfying call that you can share with us? I think my favourite call so far was from a gentleman who had been out walking his dog on a park and had seen a bat trapped behind the mesh of a large disused speaker. Before calling OOH he had already contacted the places I was going to recommend – the RSPCA, the local council to see who the speakers belonged to, a security firm connected to the park. I was at a loss as to what to suggest, but put him in touch with a bat carer local to him, in the hope they might have come across a similar situation before and had some more ideas. I was hopeful, but really worried it would not be a happy ending for the bat. After my Bat Watch, I spoke to my allocated Back up Staff (during Bat Watches, volunteers always have a phone number available for a member of staff from the Bat Conservation Trust to provide advice or assistance, which is really reassuring). I decided to call the gentleman back just to double check we had discussed every possible avenue of people or places to call upon for help in trying to rescue the bat. I’m so glad I made that call as what he told me made my weekend! The RSPCA had managed to send out an inspector, and the bat carer who I put him in touch with had attended to help, along with the local fire brigade! They managed to saw through the speaker so that the bat carer was able to get close enough to get hold of the bat and safely contain him. It was a fantastic team effort from everyone involved to rescue this little pipistrelle bat, fondly named Boris by the man who spotted him. I have since heard that Boris had a little rest and recuperation that evening with the bat carer and was fit enough to be released the following evening. How about your most challenging call so far? So far, I’ve been quite lucky, and I’d say my most challenging call was from a lady who was struggling to hear me over the excited chattering of her young children who had just found a bat! I think it’s important that children take an interest in nature and advised the caller that the Bat Conservation Trust would happily send out some children’s activity packs, so they could learn more about bats. What advice would you offer to anyone else considering taking up OOH volunteering next year? Go for it! Although I come from an ‘animal background’ having worked in a veterinary practice, I knew hardly anything about bats. The Bat Conservation Trust provide a day’s training which covers everything you need to know to get started on OOH call taking and offer great support for volunteers along the way. OOH volunteers are usually the first port of call for members of the public who have found a bat and are usually the ones who ‘get the ball rolling’ for a rescue / rehabilitation attempt. It feels great to be part of something so beneficial for British wildlife. We have to ask… favourite bat and why? I’ve not seen one in real life (yet! 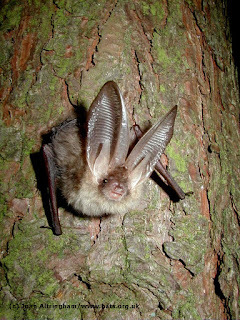 ), but it has to be the long-eared bat. Those ears are just too cute!